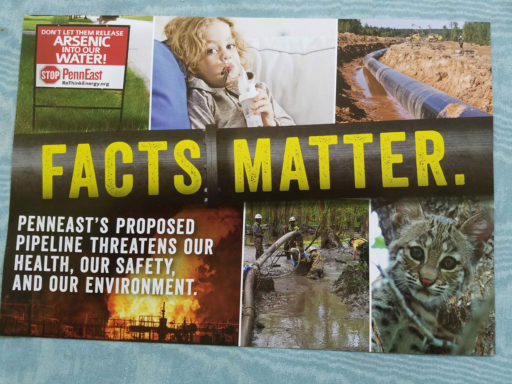 A recent article in The Daily Signal exposed the tangled web created by PennEast opponents as they have practiced to deceive in their pipeline enmity. Kevin Mooney did fantastic job with an article the other day at The Daily Signal. Extremely well written and balanced with comments from all sides, it laid bare the deceptions practiced by PennEast opponents. I was quoted, so I’m obviously biased, but Kevin’s in-depth research and reach-outs to the opposition to the PennEast Pipeline was a great example of good old-fashioned journalism. Titled “PennEast Pipeline Backers Tout Lower Energy Prices in Fighting Well-Funded Green Groups,” this piece exposed so many of the faulty premises behind PennEast opposition. Jeff appears to have taken word parsing lessons from Bill Clinton as he’s technically correct that his Sierra Club chapter doesn’t get money from the William Penn Foundation but slyly evades the whole truth. The foundation, which is private charity, cannot donate to the Sierra Club because it is organized as a 501(c)4 political entity and private foundations are not permitted to do politics. That’s why, like so many such deceptive groups who rely upon big money from the gentry class, the Sierra Club created its own 501(c)3 charity that could accept grants from outfits such as the William Penn Foundation. That is the Sierra Club Foundation. Yes, the Sierra Club Foundation gave $53,280,629 or 61% of its contributions to the Sierra Club—a 501(c)4 political entity—for “environmental education.” Moreover, that $53,280,629 represents 56% of the Sierra Club budget. Is there anyone on the planet who supposes what the Sierra Club does is appropriately classified as “environmental education” and not environmental politics? Does anyone believe the $300,000 donated by the William Penn Foundation to the Sierra Club Foundation for “research, advocacy, and educational programs to support new and existing regulatory protections for Pennsylvania forests and waterways in the Delaware River watershed” didn’t effectively end up in the hands of the New Jersey Chapter of the Sierra Club for use in promoting a ban on fracking and fighting the PennEast Pipeline? Jeff Tittel, in his practice to deceive, reveals the incredible depths of the fraudulent behavior taking place in this country with respect to the tax-exempt fleecing of taxpayers. It’s happening at the hands of a ruling class using multiple corporations and entities to launder their political activity as they wash out the blue blood stains. Also stained is the son of that steelworker; the son who grew up to be Jeff “the Job-Killer” Tittel, gentry class capo. Well, not so fast, Maya. The Povertykeeper received roughly 1% of its revenue from membership dues in 2015. We also have access to details of their funding in 2013, which I wrote about here, when I explained “the major role of the William PennFoundation in financing the Riverkeeper (20% of all contributions), Henry Wallace descendants (Wallace Research Foundation and Woodtiger Fund, who together provided another 24%), the Rockefeller family (Geraldine R, Dodge Foundation for 5%) and four others at 15% combined, meaning eight special interest entities funded almost two-thirds of the Riverkeeper budget.” Those other “funding streams,” in other words, don’t amount to much. Moreover, we know how the William Penn Foundation controls and directs the expenditure of its donations from the way it treated the DRBC, another of the recipients of its undue influence. The grant agreement governing the Foundation’s donation of funds to the agency, even as it simultaneously funded the Povertykeeper opposed to all gas drilling in the region and suing the DRBC to prevent it, dictated exactly how the money was to be used. 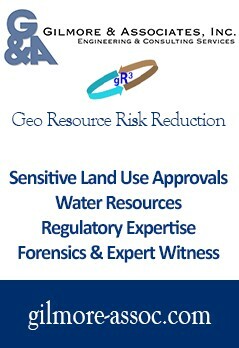 Another grant agreement, according to emails between the DRBC and the Foundation specifically provided that “DRBC natural gas regulations be approved by commissioners and that those regulations include requirements for 1) natural gas development plans and 2) creation of a Decision Support Tool to implement the regulations.” So much for the idea the Foundation doesn’t spell out and know precisely what it’s paying for. See that small child with the breathing device? You might notice it’s plastic, which is to say it’s made from natural gas, a fact ReThinkEnergy never did think about, I presume. It’s also a stock photo available at a price from one of these sources, which alternatively describe the child as a “close-up of a little boy with sad expression on his face, using an inhalator” and a “small, sad girl with inhaler sitting on a sofa.” The child is whoever you want her or him to be; that is to say fake; a model hired out by parents to pose as propaganda for whatever cause one has in mind. It’s hard to imagine anyone more appropriate to the pitch of PennEast opponents with absolutely no facts to their credit (or creditability for that matter). They’re not just fractivists but alternative factivists. There’s also that arsenic thing. “Don’t let them release arsenic into our water,” the flier says. I didn’t know pipelines released arsenic and, in fact, they don’t, but here’s the point; there’s already arsenic in the water and PennEast had nothing to do with it. The New Jersey Geological Survey found arsenic in groundwater in Hunterdon and Mercer counties when it studied data from the 94 wells in 1999 and 2000. The samples showed 30% of wells exceeded the New Jersey maximum contaminant level (MCL) of 5 µg/L of arsenic. Also, New Jersey has a Private Well Testing Act and data collected from more than 1,100 wells in Hunterdon County and Hopewell Township between 2002 and 2011 showed more than 25 percent exceeded the MCL, with a peak background concentration of 254 µg/L. I’ll believe that when the quotes StateImpactPA regularly secures from the Delaware Riverkeeper and Clean Air Council are accompanied by a disclosure these organizations are funded by the same William Penn Foundation that makes StateImpactPA possible and when those quotes are accompanied by others from our side. That would be be real journalism, though, so I’m not expecting to see it anytime soon. They could learn a thing or two from the Daily Signal if they stopping practicing to deceive. They are losing, Mr. Shepstone. The anti fossil fuel folks are losing everywhere and the level of stridency is visibly accompanied by a growing air of desperation. As these pipelines are continuing to be built – especially the ones supplying the new generation of CCGT plants in the southeast – those farcical wind and solar generators will forevermore recede into the dustbin of history. The ‘renewable’ advocates are frantic to delay this and their elevated level of histrionics coincides with their collective disconnect from reality. You and your neighbors in the Appalachian Basin would be well advised to increase your advocacy efforts to more enable the coming wave of manufacturing prompted by the cracker(s) and the massive downstream build out of related industries. You all are sitting atop a Saudi-sized hydrocarbon bounty. Do not let it be stolen from you and your families. Great article! The Signal article was really good as well. 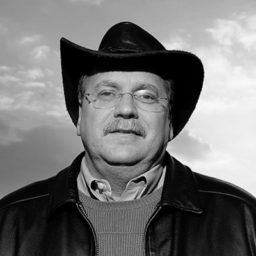 Jeff Tittell has been quoted in the news with a pithy piece of nonsense on multiple pipelines. Penn east isn’t the exception. What’s embarrassing is how much this single individual makes news. Even if he wasn’t hocking nonsense , which he is, he surely isn’t the only person who lives in the entire state of New Jersey. Rethink is merely a new coalition formed from the same network of overlapping players in the enviro world to fight the pipeline. This is the same story playing out over and over and over. Small group of people defy nearly all logic and fact, get themselves in the news for years and on it goes. More reporters should be looking at what has been going on with fracking and pipelines.